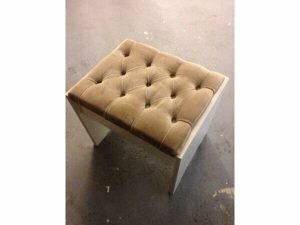 A vintage solid wood rectangular piano stool, upholstered to the top in camel velour with button detail. 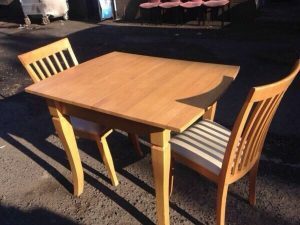 A solid pine extendable dining table, together with two high back dining chairs, upholstered to the seats in cream fabric. 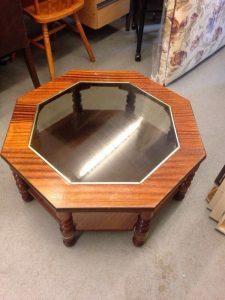 A solid wood vintage octagonal glass topped coffee table. 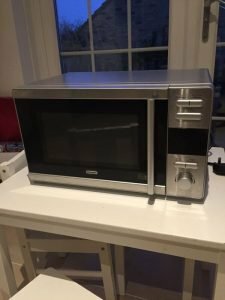 A De Longhi stainless steel and black glass 500w counter top microwave oven. 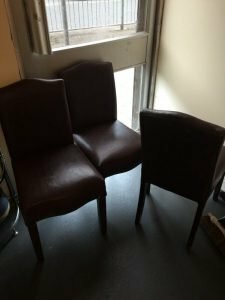 A set of three vintage high back dining chairs on solid wood legs, upholstered in chocolate brown authentic leather. 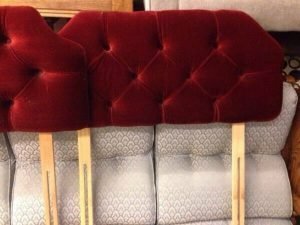 A pair of solid pine single headboards, upholstered in deep red velour with button detailing. 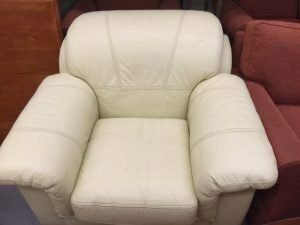 A high back armchair on solid wood legs, upholstered in cream authentic leather. 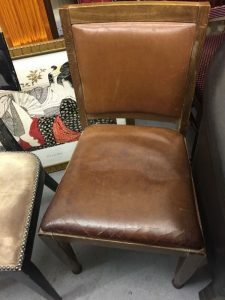 A solid oak high back vintage dining chair, upholstered to the seat and backrest in authentic brown leather. 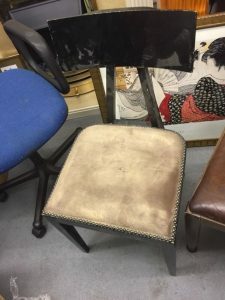 A vintage solid wood curved back dining chair, upholstered to the seat in camel velour with brass studded detailing. 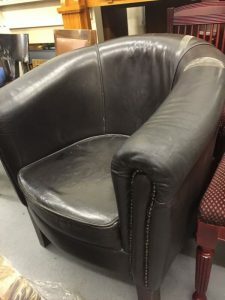 A vintage curved back tub chair on solid mahogany legs, upholstered in black leather. 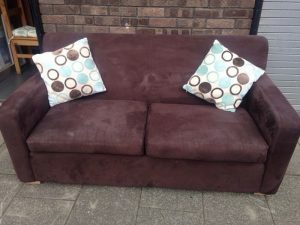 A two seater high back sofa on solid pine square legs, upholstered in purple velour. 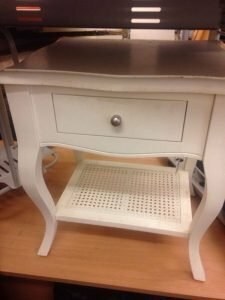 A hand painted white solid wood side table with one drawer. 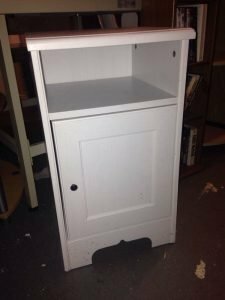 A tall standing bedside unit hand painted in white, having one shelf above a cupboard. 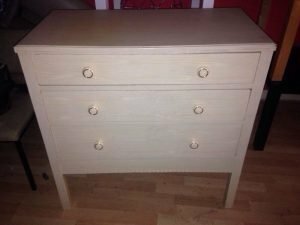 A tall three drawer solid wood chest of drawers. 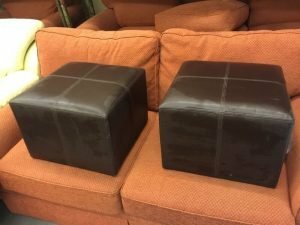 A pair of small square footstools, upholstered in chocolate brown faux leather. 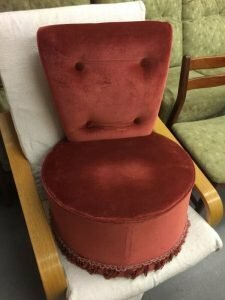 A small vintage low back circular boudoir dresser chair, upholstered in red velour with button and fringe detail. 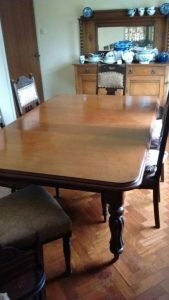 A solid wood vintage rectangular dining table, together with six matching heavily carved dining chairs, upholstered to the seats and backrests in patterned fabric. 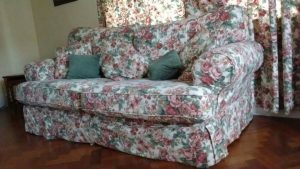 A two seater high back vintage sofa, upholstered in floral patterned fabric with curtain detailing. 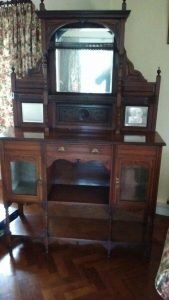 A tall standing solid mahogany vintage side dresser, having a mirrored back counter top above two cupboards and a small drawer. 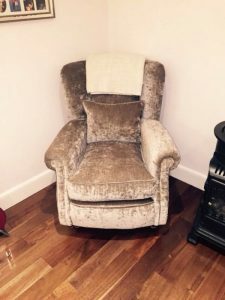 A vintage style high back armchair on brass castors, upholstered in silver velour.